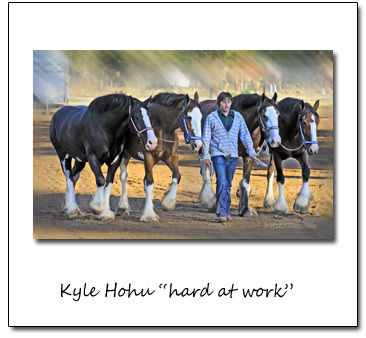 My late husband, Curt, and I purchased our first Clydesdale, a yearling filly, Belleau WS Helen (Nellie) in Paso Robles at the Farm Equipment, Mule and Draft Horse sale in early 1998. We went to the sale to 'look around' at the mules and farm equipment. We just couldn't resist this high headed beauty when she entered the sale ring strutting her stuff, stompin' with attitude and feather flying. Next thing we knew we had to figure out a way to get her home! We never regretted our impulse buy. We quickly grew to love and respect this noble breed and soon started shopping for more. 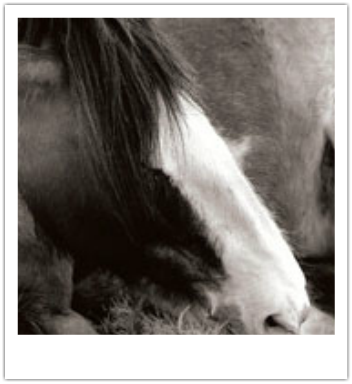 Tragically in 2002 we lost Nellie and her unborn foal during a traumatic attempt to deliver what would have been her first foal. I will never forget her as she was a truly special horse that touched our lives deeply. I will always be grateful to her for leading us down a path to this magnificent breed that is now such a treasured part of my life. I now have a small, select ‘herd of Clydesdales’ including broodmares, geldings, foals, and a stallion – so the herd continues to grow. I own a superb stallion to breed my mares as well as select outside mares. 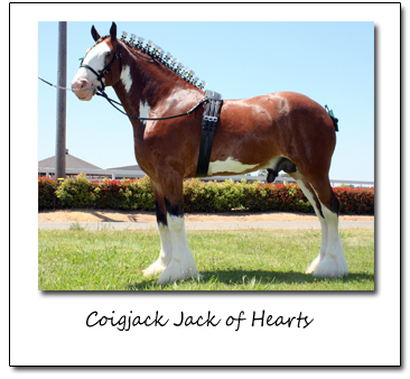 This stallion, Coigjack Jack of Hearts, was purchased from Steve and Beth Gregg of Ontario, Canada. 'Jack' has an outstanding show record, qualifying for both All-American and All-Canadian several times and is nearly undefeated in halter classes. 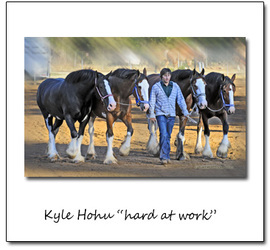 I enjoy sharing my Clydesdales with others at parades, historical events, various demonstrations and draft horse shows. My goal is to continue to own, breed, compete and share with others this beautiful, magnificent, majestic breed of horses. I have been extremely selective in choosing my mares and breeding stallions. I plan to show them in halter & driving classes as well as breed them. They have not only exceptional pedigrees but conformation, feather and disposition to match. 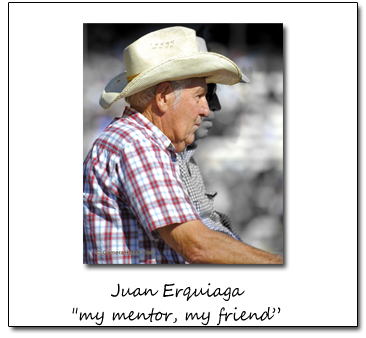 I am sincerely grateful to those who help and support my efforts, including, but not limited to: my close friend and mentor Juan Erquiaga (and his wife Carol); my junior drivers/general swampers and their families. Recently we have had several enthusiasts join in on the fun and competition of driving not only drafts but light horses as well. Every year more ‘friends’ get involved with SEC. Welcome! I could not continue this endeavor without everyone’s assistance. Thanks! 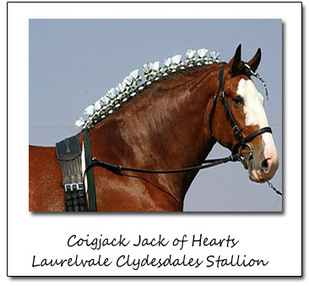 Laurelvale Clydesdales Stallion "COIJACK JACK OF HEARTS"